In May 2016, Barbara Jatta was summoned to the Roman home of her boss, Archbishop Jean-Louis Bruguès, the librarian and archivist of the Catholic church. He told her he had received a letter from the Holy See’s Secretariat of State, its central bureaucracy, informing him that Jatta had been chosen to lead the Vatican Museums. This extraordinary assemblage of collections and buildings, created by successive popes, encompasses antiquities, Etruscan objects, a paintings gallery, papal apartments, rooms decorated by Raphael and, of course, Michelangelo’s Sistine Chapel. Jatta was asked immediately to leave the Vatican Library, where she had worked for around 20 years and led the prints department from 2010. She would serve for six months as the deputy to the museums’ then director, Antonio Paolucci, before succeeding him. And that was that. “I went white; I was shocked. It was a radical change for me,” she remembers. There was no lengthy application process and no formal interview. Instead, Jatta was selected from a pool of six candidates by the president and the secretary general of the Vatican’s Governorate, Cardinal Giuseppe Bertello and Monsignor Fernando Vérgez Alzaga. She was quietly vetted behind the scenes, approved by Pope Francis and then presented with the appointment—a first for a woman—as a fait accompli. She took up the post on 1 January 2017. The chain of command governing the Vatican Museums is remarkably short. As the director, Jatta answers only to Cardinal Bertello and he in turn reports directly to Pope Francis. There are no trustees, no governing boards and no committees. When one of the museums’ curators wants to acquire a work of art, for example, they make their case to Jatta. For more expensive items, she asks Cardinal Bertello’s permission. Does the Pope then approve these purchases? All Jatta will say is that he sometimes gets involved in the museums’ decision-making. “We recently restored a very important work of art at Santa Maria Maggiore,” she says. It is one of three papal basilicas in Rome that are outside the Vatican City but are owned and run by the Holy See, and enjoy the same extraterritorial status as foreign embassies. “That project was authorised directly by the Pope,” she says. “These are the Pope’s museums,” Jatta says. As such, they reflect his priorities, interests and political ambitions. 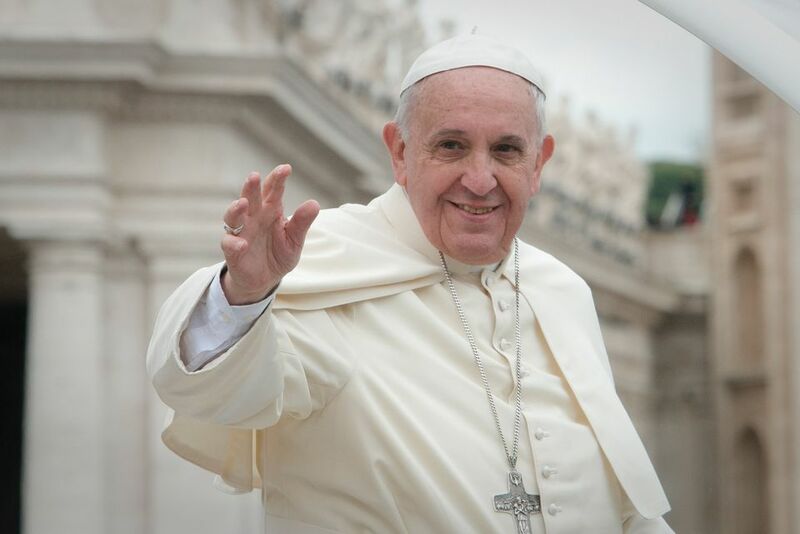 And Pope Francis is a builder of bridges, whose ambitious foreign policy has led to a rapprochement with China after decades of broken relations over the country’s appointment of its own bishops, the Vatican’s recognition of Taiwan as an independent nation state, and other issues. Art from the Vatican Museums should serve as an “instrument of peace”, the Pope has said. The principle underpins the historic initiative by which, in parallel exhibitions opening in March, around 40 Chinese works from the Vatican collections will be displayed in the Forbidden City in Beijing and 40 works from China will be shown in the Vatican Museums. Jatta declines to comment on the museums’ political function but says she “fully supports” the use of its art for cultural diplomacy. “Art can and should have this role,” she says. Jatta is also steering a greater move towards contemporary art. While the Vatican Museums have collected religious art by Modern and living artists since the 1970s, they are now preparing an exhibition that will give them a credibility within the wider art world that they have rarely, if ever, had. Jatta will not be drawn on the museums’ finances and will not disclose what percentage of their annual operational costs are covered by earned income, including ticketing and merchandising, and how much comes directly from the Vatican. “Many projects are paid for by our friends’ organisations in the US and Europe” is all she will say on the subject. Her greatest challenge, she says, is “dealing with so many different tasks in the same day”. Top of the list is managing the six million annual visitors, the vast majority of whom take the same route to the Sistine Chapel. Jatta rules out imposing a cap on visitor numbers, but plans to open a new, second entrance to divert traffic to lesser-known parts of the collections. 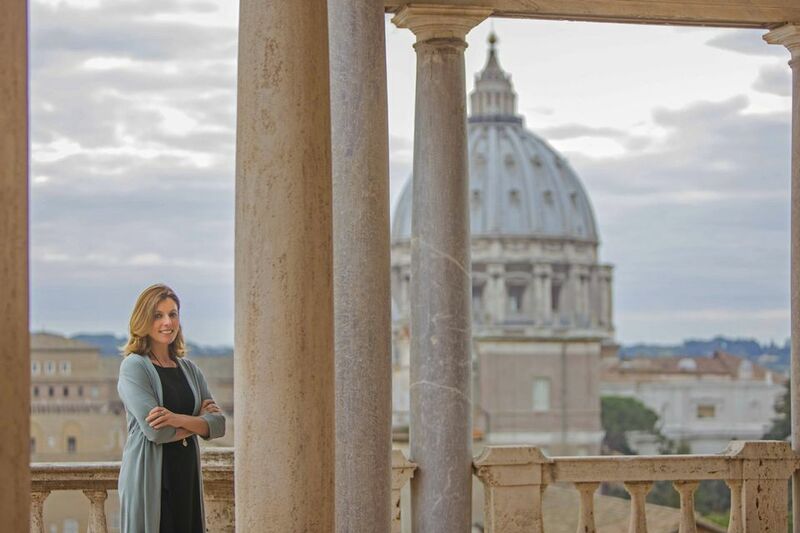 She is also about to oversee the retraining of around 350 tour guides to encourage them to explore the museums’ seven kilometres of corridors and rooms and not just lead tourists down “the magnificent mile” from the entrance to the Sistine Chapel. The crowds of visitors and the dirt they generate poses another problem. Keeping the works of art dust-free is a monumental, never-ending struggle. The “annual vacuum cleaning” of the Sistine Chapel is now underway, Jatta says. Every evening after the museums have closed, a team of restorers (almost 100 are employed full-time) will, for the next month, carefully remove the dust from Michelangelo’s paintings.